Vines were probably established by the romans on the Rangen, but it is really the Franciscan monks that made this steep south facing hill famous in the 12th century. The Rangen is unique in Alsace, both from its extreme topography (90% average slope) and soil (Grauwacke or compacted volcanic ash). The higher altitude and proximity of high summits in the Vosges compensate the slope and bring more rainfall than in Turckheim. When it rains, the water disappears very quickly into the rocks and amazingly, the Rangen is never the vineyard that suffers the most from the drought. Always planted at 10000 vines/ha, the crop is small, there are few clusters on each vines and this also helps to properly ripen the grapes. 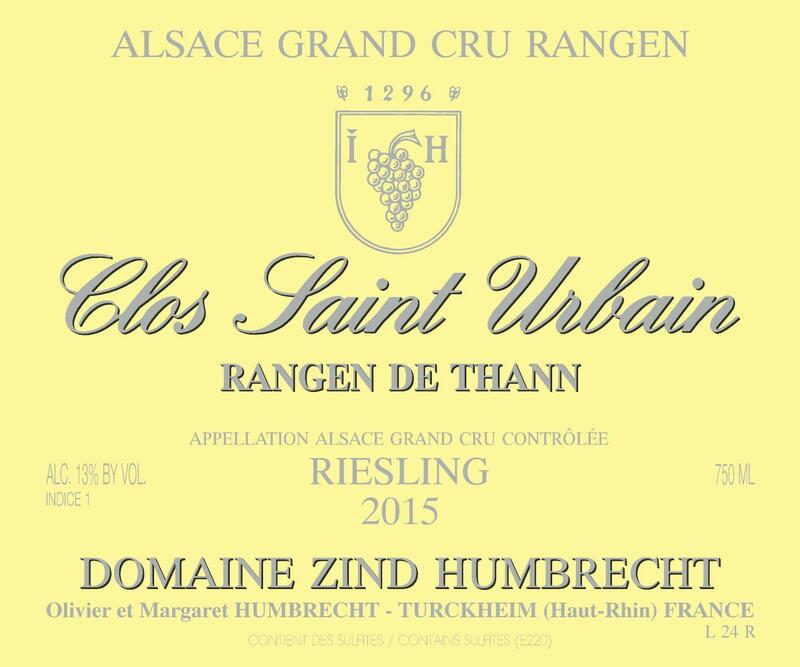 Harvested just before the mid-September rainfall in 2015, the Riesling grapes reached a perfect ripeness and were able to ferment dry after a long yeast activity. 8/2017: bright yellow colour. The nose shows so much volcanic intensity, it is almost like smelling crushed rocks, flint, smoke… It looks like there was volcanic dust in the sap in 2015! The origin is so obvious and this somehow unusual as Riesling tends to become quite floral in warm vintages. The palate is dry, tight, no sweetness, some tannins and a strong lees influence. There is salt on the finish. All these elements bring an unbelievable energy and complex personality to the wine. Like many 2015s, it will develop beautifully over many years in the future.